We show you how to make moonshine at home using a pressure cooker still with our moonshine instructions, and we'll give you a peach moonshine recipe and a video for whiskey moonshine. However, please check with your local authorities to see if it is legal to make shine in your area. Some countries do not allow it at all, while some do, but only for personal consumption. 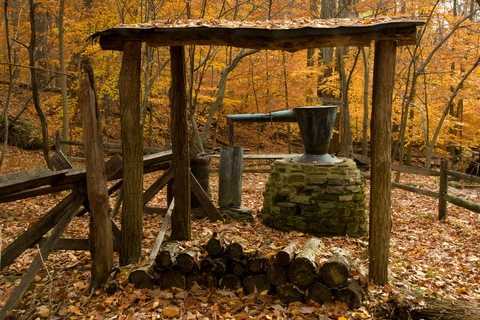 Today's bootlegger moonshiners make $40 a gallon for traditional corn moonshine or $100 a gallon for fruit moonshine. When it's summer and corn is cheap and plentiful this is the more favored ingredient for making shine. However, in the winter, the corn is scarce and so fruit is used to make a brandy instead. Despite the blanket ban in some countries in making shine, many people still make moonshine and many more are looking for instructions on how to make shine at home. So, for the good old economic adage of 'supply and demand' we will oblige, and show you just how to make it. For those of you who are in the know Popcorn Sutton was a well known moonshiner who was arrested in 1998 for making moonshine and sentenced to 18 months in jail in 2009. At 62 years of age when he was arrested he didn't want to spend the years in jail and sadly took his own life. Old Popcorn Sutton was quite a character and you can watch Popcorn Sutton in his moonshine documentary making his last batch of moonshine. His wife sold one of his recipes (Popcorn had several) to Hank jr. who was a close friend. However, please be careful when you are making moonshine whiskey, and know the dangers. If you don't control the temperature properly you could end up poisoning yourself, and the same goes when you have not gotten rid of contaminates during the distillation process, or drinking the first distill. 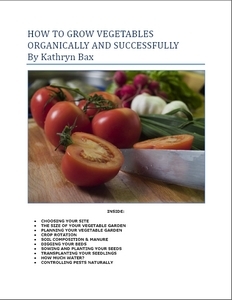 You also need to realize that your homemade still has the potential to explode from a build up of gases if you have added your fruit or corn too early. Finally, you should only use moonshine stills made from copper as many people are unaware that they can get lead poisoning from using contaminated metal containers for their distillation equipment. So, you see, there is a lot to learn on how to make moonshine. Moonshine, is a term used to describe making distilled alcohol at home, especially in places where it would be illegal to do so. Where I come from, we call it "mampoer" or "witblits" (white lightning), and it is traditionally made with peaches, so basically a peach moonshine. However, you can make distilled alcohol out of many fruits and vegetables, and we will try and explain the process as easily as possible and soon you will know how to make moonshine. 10 gallons of hot water - at 120 degrees F.
1) Fill your copper/ stainless steel 20 gallon container with 10 gallons of water. Make sure that it is at 120 degrees Fahrenheit. 2) You now need to scald the meal by adding it to the water, a little at at time, followed by the sugar. Stir well. 3) You will now need to set the container on a very slow fire. Make sure that you do not scorch your mash and the temperature must be kept below 145 degrees F. else the heat will prevent the starch from being converted into sugar. Leave for about half an hour. 4) When your moonshine mash is a very thin gruel like consistency, take it off the heat and cook it down by cooling the outside of the container with water. You can do this by placing the container in the sink or the like, and filling up the sink with water to bring the temperature down. 5) When your moonshine mash is cool enough to stir your finger through it without being burned, we need to check that there has been enough conversion from starch to sugar. To do this we need to do the iodine test. 6) Take a small amount of moonshine mash and place a drop of iodine on the top of it. If it turns a dark purple we know that there are still starches present that haven't been totally converted into sugar. If this is the result, put the mash back on a low heat for another half an hour. If there is only a light purple, then we can continue to the next stage of learning how to make moonshine. 7) We now add about a pint of malt extract and a cake of yeast that has been well crumbled and mixed in a little cup of warm water to dissolve first. 8) You may find that your moonshine mash is very thick at this stage. It is fine to add some warm water to the mash to thin it out. Don't add hot water as this will kill of the yeast. 9) Place your drum of mash in a warm place - about 65 degrees and leave it for 3 days. At this stage you may cover it with a cloth if you have a danger of rats or insects falling into your mash. However, if you don't have these dangers, leaving it open will encourage wild yeast to enter your mash, giving it a distinct flavor. 10) You will see your moonshine mash rising in the drum with a foamy head to it. This is normal. When the froth stops growing, your mash is ready. Too much acid in your mash while it is fermenting will result in vinegar. Therefore, you will need to check your mash with litmus paper to see if your mash is still safe. If you find that the litmus paper turns blue on contact with your mash, or only a slight tinge of pink, it is fine. 11) So, in the next process of learning how to make moonshine you will want to build your still, while your mash is fermenting. Take the old pressure cooker and drill a 1/4 inch hole into the lid of the pressure cooker / pressure canner. Now take your copper tubing and get it through the hole, making sure that it is projecting no more than an inch into your pot. The tubing should fit in very tight, without the possibility of it coming out under pressure from the gases. 12) Now we need to run the copper tubing from the pressure cooker on the stove to the sink. At least 3 feet of the copper piping should be left in the sink. 13) To condense the vapor into moonshine, we now need to convert a thermos jug for this purpose. Take a 1 gallon thermos jug with a tap / faucet and remove the tap. Now take the excess copper tubing beyond the three feet that is sitting in the sink and coil it by wrapping it around an object multiple times so that it will fit snuggly into the jug. Have an extension of copper tubing coming out from where the faucet used to be. 14) During the distilling process the thermos jug will be placed under an open cold tap where the jug will always be filled with cold water, and excess water will flow through the space where the faucet used to be, flowing over the copper extension through this gap. 15) In learning how to make moonshine you will soon notice that after 3 or 4 days the foam on the mash has stopped frothing and being active and you are left with a light golden-brown liquid called still-beer. We will use this to fill up our pressure cooker. 16) Fill the pressure cooker up to only 4/5ths of its capacity, but make sure that you strain it first using either a clean, open-weave tea towel or some cheesecloth. 17) Place the lid on the pressure cooker and heat up the still-beer over a very low heat. Make sure, that at this point you have the water running through your thermos jug and you have a receptacle below the end of the copper tubing to catch the alcohol vapor. 18) Allow at least 1/2 cup of moonshine to accumulate in the cup and then throw it away down the drain. This is a vital step when learning how to make moonshine. NEVER drink this first distill. It is not just paint stripper to your insides, but is highly toxic to your system and you are putting your life in danger by drinking this liquid. 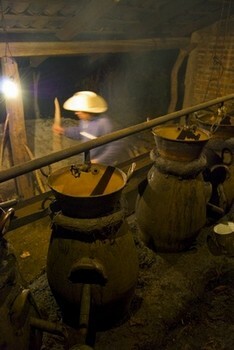 People have lost their sight, damaged their organs and worse, even died, from drinking this first distill. 19) After each lot of still-beer in the pressure cooker has been distilled you will be left with about a gallon and a half to two gallons of alcohol known as 'low wines'. 20) What you need to do now, is to re-distill this liquid as it contains too much water. The pressure cooker needs to be rinsed out and dried before we add our low wines back in to the pressure cooker. 21) Again, place over a very low heat and wait for the vapor to emerge. Again we have to throw the first lot of vapor away. About 1/2 cup again. When the first appearance of a white liquid emerges then we know that we are the path to having made our first batch of hopefully, drinkable moonshine!!! 22) However, before we get too excited, what we have made is probably rocket fuel, as it is about 140% proof. What we need to do is to find a hydrometer, and mix enough water with the whiskey to get it down to a more drinkable 100% proof. If you don't have a hydrometer, do it the old fashioned way. Take a quart jar and fill it half with moonshine. Now shake it gently and sit it on a flat surface. If there are bubbles half above and half below the liquid, then you have the right proof. A final word about learning how to make moonshine, don't be tempted to use plastic tubing to replace the copper tubing as the heat and activities of the distillation process will cause chemicals from the plastic to be leached into your moonshine. Lastly, use your common sense when making this stuff, and adopt safety procedures at all times, knowing that what you are working with is a volatile substance, that needs attention and concentration at all times. This will give you a 60% proof shine. Take a large barrel, or two, of very ripe yellow peaches and mash them up in large drums. There is no need to clean them. Now leave them for about 2 weeks to rot and ferment. During this time the fruit will give off a lot of gas, so there is no point in putting any lids on here at this stage, however, you should have a cover or some sort that will still allow the gases to escape and keep the insects out. When the bubbles subside, the mash is ready to distill. Don't leave the mash too long or it will go sour and you'll end up with peach vinegar. Heat the mash in the still, which is a big copper kettle, and heat the fermented peaches to just below boiling, so that the alcohol comes off. The alcohol boils off before the water and is trapped by a condensation pipe. The condensate is collected in a bucket and, for really top quality peach moonshine, it may be re-distilled. Well, we hope that you have had fun learning how to make moonshine at home and seeing how it was made in the past, and how it is still being made clandestinely around the world. But be aware that it is an illegal activity in some countries with severe penalties. A simple still can be made from a test tube, some heavy rubber hose, and an ordinary bottle. When making moonshine, you will need a far bigger contraption, but the purpose of putting this here is so that you can see the process. This still is for distilling water. Secure a stopper for the test tube, and bore a hole through the center of the stopper, into which fits a small piece of tube. The bottle is also fitted with a stopper containing a piece of tube, and both bottle and test tube are connected with the rubber tube. The test tube is partly filled with water and supported or held over an alcohol lamp. The bottle should stand in a basin of cold water. When the water in the test tube begins to boil the steam passes over to the bottle, where it condenses. The basin should be supplied with cold water as soon as it begins to get warm. The rubber tube will not stand the heat very long and if the still is to be used several times, a metal tube should be supplied to connect the test tube and bottle. As you will have noticed, there is a lot of moonshining terminology used in the process that may be unfamiliar to you. Worms, beading oil, condensers, dropping the bead, or even revenuer maybe some of those terms that as a beginner moonshiner you may want to know the meanings of. Rather going into details here, we find a great little website that gives explanations to moonshining terminology. Infographic courtesy of sloshspot . If you already make moonshine and have a moonshine recipe or a moonshine story to share, please feel free to contribute. Do you have a Moonshine Recipe or Story to Share? Do you have a great moonshine recipe or moonshine story to share? Feel free to share it .here We hope that you will share your stories or recipes with all of us, so that others may benefit from your moonshining experiences, or just have a laugh or two. Please write your submission here. Do you have a moonshine picture to add? Great! Click the button and find it on your computer. Then select it. What Kind of Corn for Moonshine? If your looking at about one and half to two gallons of low wines what yield are you looking at once you whack that through the cooker? These are some of the top sections read most by our readers in this section.